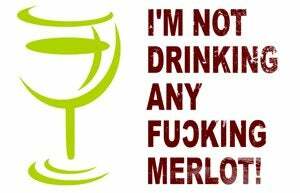 I am NOT an oenophile; I prefer liquor to wine. A nice glass of something cooler than room temperature made of fermented fruit is nice on occasion, but I must admit that the concoction of choice in that situation is usually cheap sangria. When I go to a nice restaurant, I generally refuse a good bottle of alcoholic grape juice being passed around to my cohorts on the principle that the expensive liquid would be wasted on me. It's akin to giving a glass of Louis XIII cognac to a high schooler; they'd probably take it as a shot and not realize that they just unappreciatively chugged $150 worth of fine art. I've had friends purchase $600 bottles of Merlot while eating a $75 steak and offer me a glass. I drank it appreciatively. In retrospect, they could have poured me a glass of Two Buck Chuck and I wouldn't have known the difference. It's tough, as I do enjoy partaking in the finer things in life (who doesn't?). Fine wines are simply lost to my palate. A nice cigar? Awesome. A fine glass of scotch or a well-made martini? Perfect. A bottle of expensive wine? I'll pass. Let someone else enjoy it, as I won't.